A great gag to pull out of the ticket box at your next raffle. 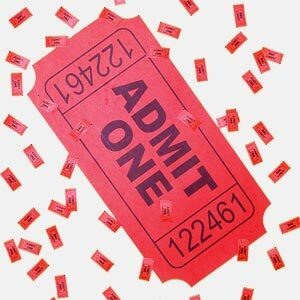 Are you headed to the show - Pull this out of your pocket when you come to the usher! A big ticket for your BIG SHOW.